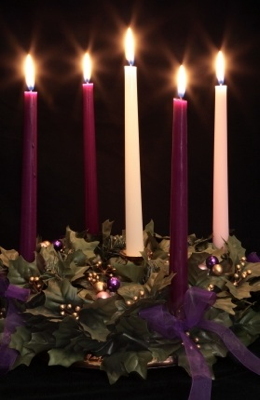 Welcome to the third week of Advent! Advent is a time of preparation, when we wait and prepare for the Christ child. Each week, you will light a new candle as we recognize the things that Christ brings to this world: hope, peace, joy, and love. Advent is a time of waiting and anticipation, for at the end of Advent we celebrate Christmas and the Christ child. For children, the waiting feels like an eternity. Each devotion during this Advent season explores what each group was waiting for: we learned about the prophets who were waiting for something they’d never see (the Messiah). Last week, we focused on Mary and Joseph, a couple who were waiting for the changes that come with a big transition: a new baby. This week we are learning about the shepherds, who were simply waiting for daylight when Jesus changed everything. Read Luke 2:8-20. 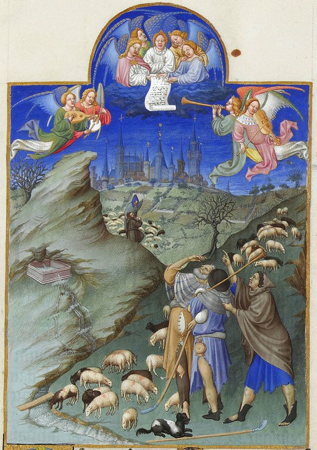 From the NIV: And there were shepherds living out in the fields nearby, keeping watch over their flocks at night. An angel of the Lord appeared to them, and the glory of the Lord shone around them, and they were terrified. But the angel said to them, “Do not be afraid. I bring you good news of great joy that will be for all the people. Today in the town of David a Savior has been born to you; he is Christ the Lord. This will be a sign to you: You will find a baby wrapped in cloths and lying in a manger.” Suddenly a great company of the heavenly host appeared with the angel, praising God and saying, “Glory to God in the highest, and on earth peace to men on whom his favor rests.” When the angels had left them and gone into heaven, the shepherds said to one another, “Let’s go to Bethlehem and see this thing that has happened, which the Lord has told us about.” So they hurried off and found Mary and Joseph, and the baby, who was lying in the manger. When they had seen him, they spread the word concerning what had been told them about this child, and all who heard it were amazed at what the shepherds said to them. But Mary treasured up all these things and pondered them in her heart. The shepherds returned, glorifying and praising God for all the things they had heard and seen, which were just as they had been told. Jean Colombe, The Annunciation to the Shepherds, Musée Condé, France (Wikimedia Commons). How often does it feel like the night will last forever? Maybe you have trouble sleeping and it seems like the night will never end. Or maybe you’re slightly afraid of the dark and it feels like it goes on forever. Or maybe the days at school seem to drag on. Maybe you watch the clock for the last hour of the day, waiting and waiting for the bell to ring and the school day to be over. Most of the time, our days and nights feel mundane and normal. But sometimes, amazing things happen. Like the shepherds, we don’t always expect extraordinary things to happen in our ordinary days. Sometimes, though, God breaks into our days and we are awestruck. Maybe God does something big, like answer a prayer in a huge way. Or maybe it’s something small, like when someone gives you a hug and makes your day better. Whatever it is, spend your days waiting with anticipation that God will do something. God is always at work, even though we don’t always see it. God probably isn’t going to send tons of angels to sing the good news like God did for the shepherds when Jesus was born. But as we go through our normal days waiting for them to be over, make sure to also be on the lookout and waiting for God to do something. God always is. Talk about any extraordinary things that have happened to your family on any days that started out normal. Talk about small ways that God reminds us God is there in the midst of our everyday lives. Ask God to help you be on the lookout for ways that God is working in the world. This is awesome information, and in more detail than anything concerning Advent that I have read. Thanks! !